It is a matter of concern that innocent employees across the country are kept in a mentally stimulating work environment which is free of all forms of hazard. On one hand, there are physically hazardous work materials which are likely to lead to accidents and are to be managed by the employer. On the other hand, there are mentally damaging working conditions such as excessive pressures & stress and dissatisfactory payments, these are usually accompanied with excessive labor. At a workplace where attention is given by the employer to eliminating these dangerous working conditions, there is a reduced chance of resultant injuries. These injuries have a negative impact on the employee involved as well as the employer who is bound to experience lower output. The point of concern, however, is the employee who faces an unwanted situation which anyone would rather avoid. It is the duty of the employer to compensate any of its employees who fall victim to work injuries. In some conditions though, there may be complications in the negotiations especially in cases of the refusal to agree on terms. 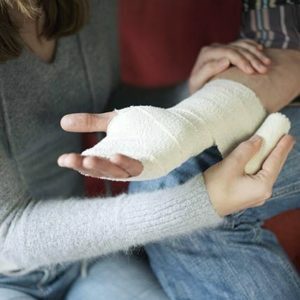 It is, therefore, necessary to employ the service of a skilled work injury attorney in Victorville who is experienced in such issues so that the right approach is taken in your best interest. At Rawa Law Group, our work injury attorneys are acclaimed in Victorville as being the best, due to our track record of astounding performance through our two decades of active representation and our professional yet personal approach to cases. You are guaranteed topnotch representation, we will involve professionals in every relevant field to ensure that all documents required to drive home your claim are made available. Reach us now for the best advocacy.